The RSEvents!Pro >> Groups area allows you to set up event related restrictions. RSEvents!Pro offers great flexibility in terms of group area configuration. You can select a pre-configured, existent group and of course, add other users that belong to other groups. Users in this group can edit events: users that belong to the specified group can edit events(from the frontend). 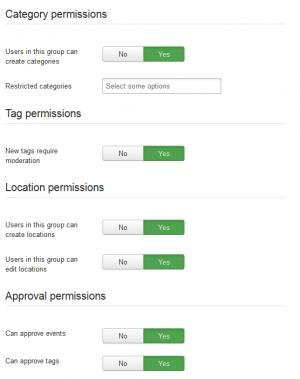 Users in this group can post events: this setting will allow users in the group to create their own events (from the front-end). Setting this to yes will display an additional configuration option - whether or not to allow recurring events to be configured from the fron-end area. Users in this group can create repeated events: This option is available when Users in this group can post events is enabled, and allows users to set up recurring events. 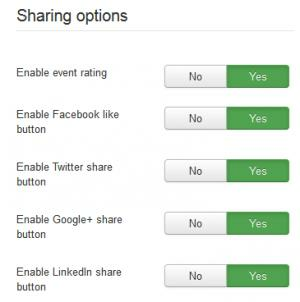 Event requires moderation: Choose whether events added by users who belong to the current group are automatically published or require moderation. Users in this group can delete events: users that belong to this group will be able to delete events. Users in this group can register: users that belong to this group will be able to register to an event. Users in this group can cancel their registration: users that belong to this group can cancel their event subscription. Users in this group can download event files: users that belong to this group can download the event files. Users in this group can upload event files: users that belong to this group can upload event files. 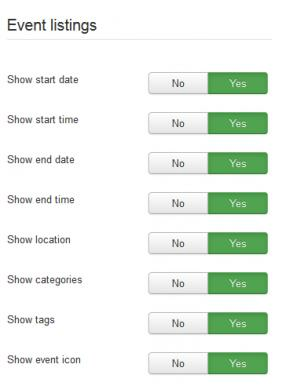 Users in this group can change frontend options: users that belong to this group can adjust the Frontend event tab options when creating an event. Users in this group can select event speakers: users that belong to this group can select the speaker when creating an event. Users in this group can add new speakers: users that belong to this group can add new speakers. Users in this group can create categories: users that belong to this group can create RSEvents!Pro categories. 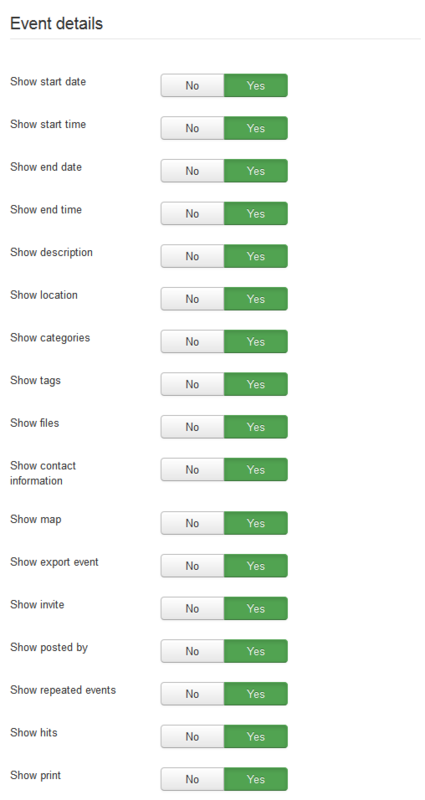 Restricted categories: select categories in which users from the current group cannot add events. New tags require moderation: users that belong to this group will and add new tags will require a moderator to approve them. Users in this group can create locations: users that belong to this group can create new locations. Users in this group can edit locations: user that belong on this group can edit existing locations. Can approve events: users can approve moderated events. Can approve tags: users can approve tags.